If your child’s trotting off to big school next year, you may be wondering how to best prepare them. Good for you! You’re a great parent and reading up on how to help the transition will give them (and you) a serious head start. One of the best things to do now is start instilling the essential skills they’ll need to navigate the new classroom and playground. Of course, if they already go to preschool or kindergarten, educators will be prepping them too, but it’s great to mirror this behaviour at home too for the best head start. Here’s five big life skills to help your little one thrive. This is their ability to manage emotions and calm down. It doesn’t happen overnight for kids but instead takes time to build gradually as they learn to deal with feelings in socially acceptable ways. There’s lots of situations at school where this is vital: if something doesn’t go their way, when they clash with a teacher or child, or if they feel angry, frustrated and sad. Learning self-regulation will assist your child to identify and manage these emotions, work through what’s bothering them and then rise above it. Develop this skill by talking about their feelings and how it’s important to make good choices when expressing these – not lashing out but talking to you, their friends or teacher, for instance. You can try books (the When I Feel series are great!) about this. If your child is a visual learner, drawing pictures that illustrate how to self regulate will be a strong teaching tool. These are important for every aspect of life but at school, they’re crucial in the way your child interacts with peers and teachers. Talk to your child about how being nice and kind will help make friends and how understanding how others feel is important, too. Try reading books together that focus on friendship and arrange play dates outside of kindergarten/preschool so you can see for yourself how your child plays with friends and if there are any social skills that need work before going to big school. Good listening goes beyond just hearing – it’s about whole body listening and tuning in so they can follow what’s being said or the instructions given. 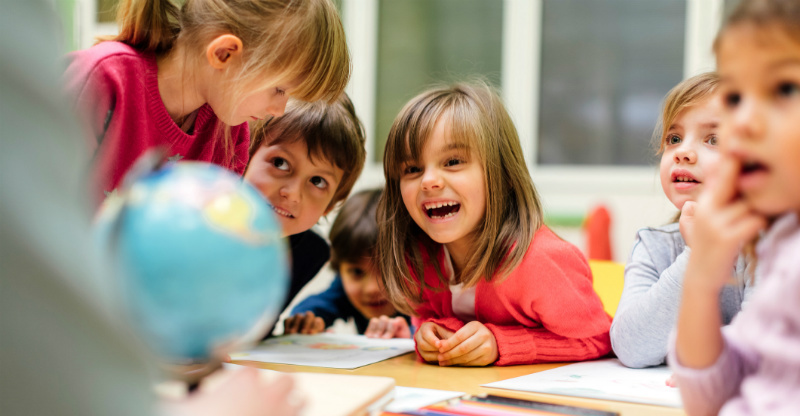 Teaching your child to look at their teacher and friends in the eyes when they talk and turning to face them, for example, is showing them they have their full attention. You could practice listening games at home. Give your child a few instructions such as, “run outside, jump five times, touch the trampoline and come back and give me a high five”, then increase these over time, so your child learns to tune into the instructions and to remember them. Fine motor skills are essential for developing the ability to write, but they’re also vital for other things too. Can your child zip up their jacket if they’re cold or open a pencil case, for instance? You can develop these skills by strengthening your child’s hand muscles and working on their hand-eye coordination. 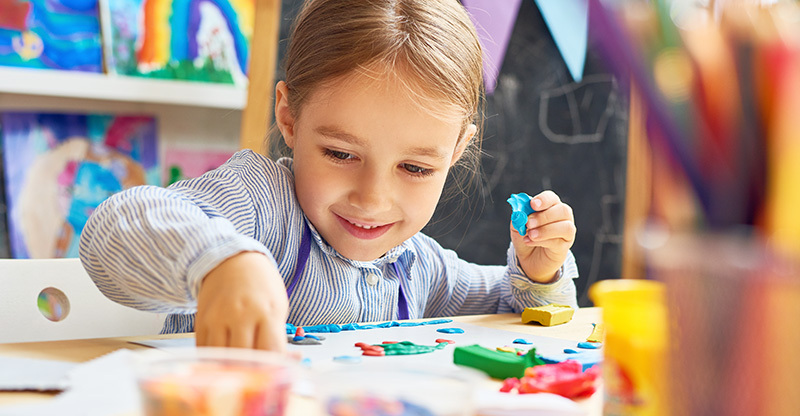 Get them squishing play dough, building with Lego, cutting with scissors on the line and drawing, encouraging them to use the ‘ducky’ pencil grip (do the quack, quack beak movement with your thumb and first finger). If you’re in the habit of dressing your preschooler or doing things for them when they could do it themself, it’s a good idea to ease off and give them the opportunity to be more independent as they’ll need to be at school. What you want to avoid here is learned helplessness. Encourage them by praising them for doing tasks independently, such as wiping their bottom, packing away toys, washing hands thoroughly or carrying their own bag. This post was sponsored by Goodstart Early Learning Centres. To find out more, book a tour at your local Goodstart centre or call 1800 222 543.